"They didn't vote for me in the European Parliament," he said in Stuttgart, Germany, in a speech. "The far right didn't either. I remember Ms. Le Pen, she said: 'I'm not voting for you.' I said: 'I don't want your vote.' There are certain votes you just don't want," Juncker said, referring to the French far-right leader Marine Le Pen. 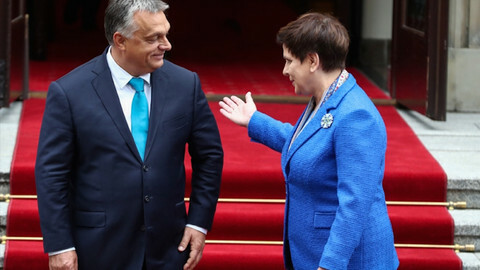 His sharp comments came after Orban's government unveiled a new campaign accusing Juncker of collaborating with US billionaire George Soros in flooding Europe with migrants. The Juncker-Soros campaign was a "ludicrous conspiracy theory", an EU commission spokesperson also said in Brussels earlier on Tuesday. The dispute comes amid long-standing EU concerns over Orban's abuse of rule of law and democracy at home. That debate flared up on Tuesday, with Frank Engel, a centre-right MEP from Juncker's home country, Luxembourg, also calling the Juncker-Soros campaign a "last straw". "There is no way we are going to campaign with them overshadowing what we want to do for Europe. 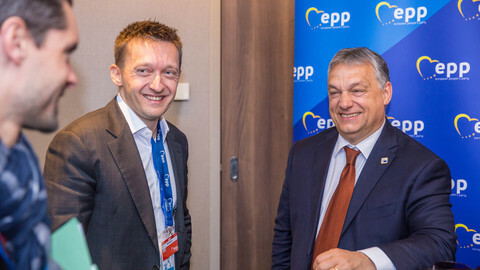 The time of Fidesz in the EPP is up," he said in a post on Facebook. 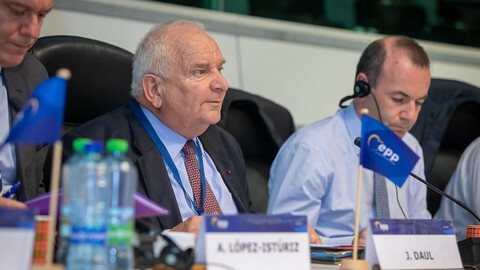 The EPP's French president, Joseph Daul, called the campaign "deceitful, misleading". "I strongly denounce Hungary's attacks and baseless conspiracies against president Juncker," he added. Daul, who amicably calls Orban the party's "enfant terrible", did not indicate he would support expelling Fidesz from EPP. Frans Timmermans, Juncker's deputy, who hails from the centre-left Socialist & Democrats (S&D) group, also weighed in after a meeting of EU affairs ministers who, among other things, discussed concerns over the rule of law in Poland and Hungary. 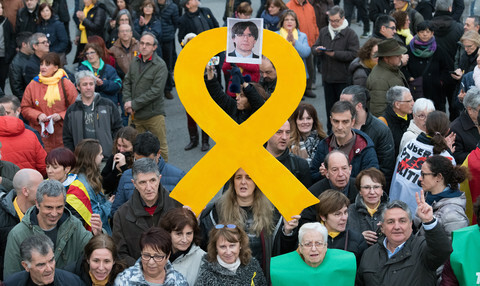 But on the "the same day the council [of member states] discussed the collective fight on disinformation, we also saw, on an official government website, a picture of the commission president with a private individual, alleging all sorts of things that have nothing to do with reality," Timmermans said. "It would be a good joke, if it wasn't so serious," he added. 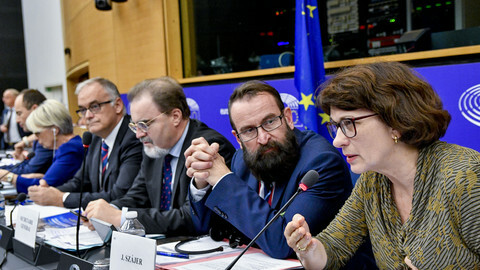 For its part, Hungary protested during the meeting that Timmermans, being the lead candidate for the Socialists in the European elections, leads the criticism and assessment of Hungary's adherence to EU rules. 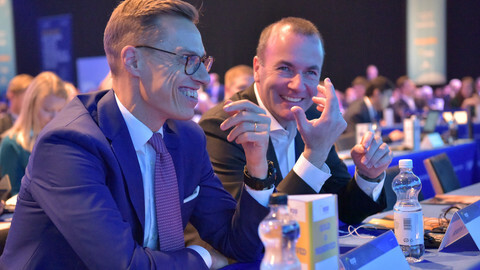 But so far, only one party, Finland's National Coalition Party, has indicated it might be willing to enter into talks on doing so. The EPP's lead candidate for Juncker's job, Manfred Weber, also needs the Hungarian prime minister's support to become the next president of the EU commission. He had hoped to put questions on Orban behind him when last September he voted in parliament to start the sanction procedure against Hungary. Weber kept silent on Tuesday, but Juncker said he ought to ask himself "if I need this [Orban's] voice" in the EPP. The 64-year old Juncker, who also served as Luxembourg's prime minister for 18 years, is on his way out of politics. He is also popular with EPP parties in Croatia and Slovenia, with the Bavarian CSU party in Germany and with Italy's Forza Italia. 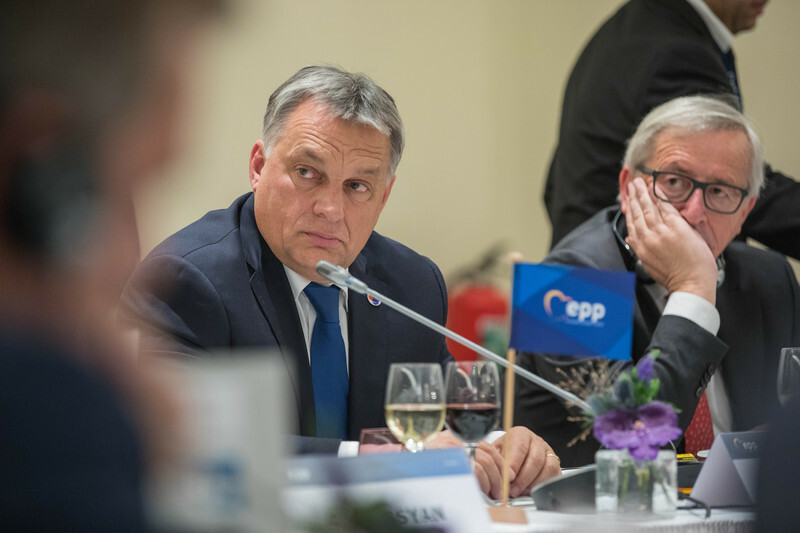 Orban's departure would recall the then British prime minster, David Cameron's decision to pull his Conservative party out of the EPP, which set the ball rolling on Britain's EU exit, EPP officials have said. The centre-right political family plans a resolution defending 'European values' - in an effort to cement its place in the political centre ahead of elections in May, and remind members (including Hungary's Fidesz) what the party is about. Hungary's ruling Fidesz went against the EPP party line over Poland, causing 'harsh words' behind closed doors. 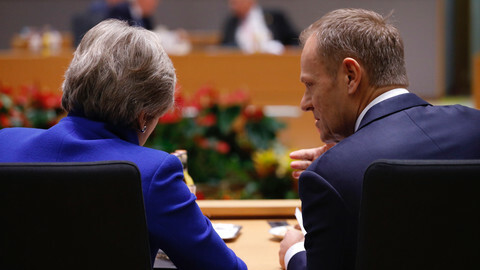 As EU leaders gather in Egypt to discuss migration with Arab leaders, UK leader Theresa May will lobby them to agree to a revised Brexit deal.